Southern California has suffered from raging fires, namely the Thomas Fire which has now become the #1 Wildfire in California. These past few weeks have tested us as a Community. December 10th, our Santa Barbara location was forced to closed it doors as many of our employees had to evacuate the area. 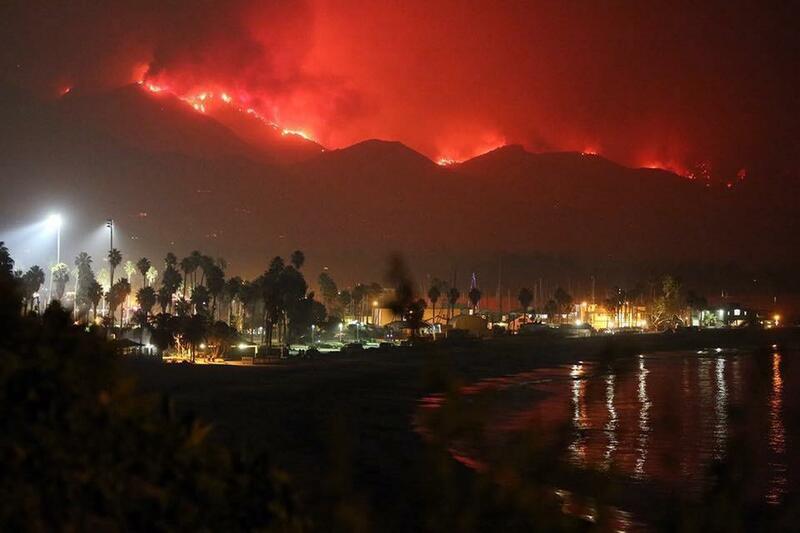 We sat in worry if our homes and stores would remain intact, while ash filled the air and the sky bled orange then red from Montecito across State Street. Our streets were dominated with fire engines from all over the United States, carrying over 8500 Firemen and the sound of emergency sirens were haunting. On Friday, December 15th, there was a glimmer of hope. The fire had been 50% contained and no longer threatened majority of the City. All our employees were safe and we returned back to State Street, swept off the now white ash and prepared to carry on. Dozens of fire crews walked the streets looking for open restaurants and were saluted and cheered for from members of the community peering out from behind their masks. Renaissance Fine Consignment would like to Thank and Honor all the Fire Crews that helped save our Community. Blessings to you and your families for the sacrifices you've all made.